We've been long time fans of SpongeBob, pretty much since it first came out in series format on Nickelodeon. I've laughed right along with my kids at many of the jokes and fun had by SpongeBob and Patrick and can't wait to have some more! BEFORE SPONGEBOB AND FRIENDS TAKE ON THE BIG SCREEN THIS FEBRUARY, RELIVE SOME OF THEIR MOST HILARIOUS ADVENTURES…INCLUDING THE VERY FIRST! Just in time for The SpongeBob Movie: Sponge Out Of Water in theaters nationwide this February 2015, fans can relive the magic that started it all with SpongeBob SquarePants: The Pilot, A Mini Movie & The SquareShorts. This DVD set is a collection of classic SpongeBob fun including the original pilot episode, the mini movie, “Truth Or Square,” and over 40 shorts filled with everyone’s favorite Bikini Bottom friends. Packed with content at a great price, this DVD set is perfect for long-time fans as well as new SpongeBob viewers. 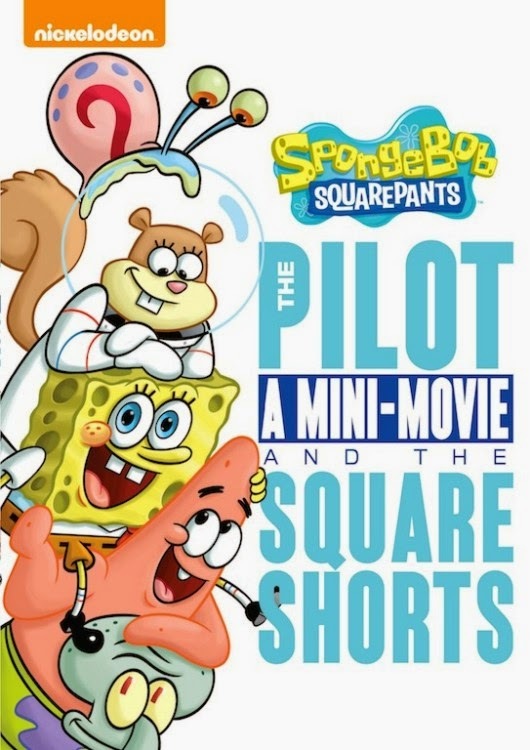 SpongeBob SquarePants: The Pilot, A Mini Movie & The SquareShorts is available on DVD January 6, 2015.